The capital city of Equatorial Guinea, Malabo, is in a state of constant improvement, says Mayor Maria Coloma Edjang Bengono. Every year, it seems to be cleaner, bigger, more modern, and more orderly. Women in Equatorial Guinea are playing a major role in government and the private sector, say two of the country’s top women leaders. While the United Nations recently criticized the lack of women in leadership positions in most countries, women in Equatorial Guinea have long been present at senior levels, according to Mari Carmen Ecoro, Minister of Social Affairs and Gender Equality, and Maria Coloma Edjang Bengono, Mayor of Malabo. Minister Ecoro said in a recent interview that her government has many women in political leadership positions due to the country’s community spirit and the president’s personal commitment to gender equality. “The president of the republic says that everyone has value. [A woman] should be trained and given the opportunity to contribute as a member of society. Maybe that's where [Equatorial] Guinea should be a model,” she said. Equatorial Guinea has heavily invested in education and training for its citizens, for both men and women. Mayor Edjang Bengono said that it was critical for women to be educated and trained, and that the country counts on women in political leadership positions. “He [President Obiang] has always advised the woman to be educated and trained so she doesn’t have to depend on a man… There are women in Parliament, there are women in the Senate, the Senate president is a woman, there are women in government, there are women in the [governing] political party. There are women in all social sectors and government departments. We do not have that problem. We are given importance in this country,” she said. Equatorial Guinea joined African Petroleum Producers Association (APPA) member countries on a joint action to reduce oil production and stabilize the market. "We are reviewing our budget due to lower oil prices. We have supported these initiatives that allow us to study how to jointly stabilize prices in the future," said Minister of Mines, Industry and Energy of Equatorial Guinea, Gabriel Mbega Obiang Lima. He also recalled the importance of diversifying the economies of individual states in order to reduce dependence on oil, as the government of Equatorial Guinea is currently doing. African countries rely on revenues from petroleum production to finance needed development, infrastructure improvements, and efforts to build robust economies and improve standards of living. APPA’s initiative seeks the support of the Organization of Petroleum Exporting Countries (OPEC) to reduce the amount of oil on the global market and consequently reach a stable world price at a higher level. The APPA was created in 1987 in Lagos, Nigeria and is composed of eighteen countries, including Equatorial Guinea. The Government of Equatorial Guinea will bring together political and business leaders to promote investment opportunities at the Equatorial Guinea-Asia economic forum, to be held in Dalian, China, on April 29-30. "Equatorial Guinea has a rich and prosperous history of economic cooperation with Asia. The forum is a momentous occasion to visit old friends and forge new alliances. While Equatorial Guinea pushes forward ambitious plans for industrialization and economic diversification, we welcome investment in various sectors such as oil and gas, mining, agriculture and health," stated Gabriel Mbega Obiang Lima, Minister of Mines, Industry and Energy. 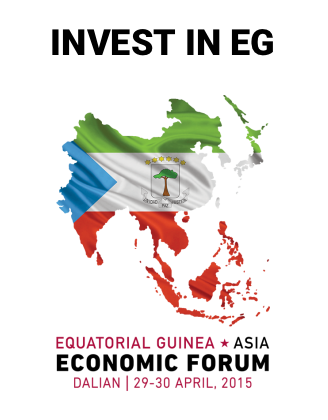 The Equatorial Guinea-Asia economic forum aims to connect leaders of Equatorial Guinea with the Asian investment community, as well as attract direct foreign investment and promote various sectors of the economy. Equatorial Guinea and China have enjoyed good bilateral relations for 45 years. They have established sustainable trade and economic ties. Chinese investment has been heavily involved in the country’s industrialization and economic diversification plans, Horizon 2020 development plan. Chinese construction companies have played a significant role in building the new infrastructure funded by the Government of Equatorial Guinea, and the Chinese government has identified the modernization of the maritime sector, agriculture and development of the coastal economy as important areas for future cooperation. President Obiang Nguema Mbasogo and a delegation of Equatorial Guinea government ministers and directors will outline the opportunities for investment and hold talks with Chinese officials.